Here is another fun image from Michelle Houghton. Michelle is an awesome Copic instructor. As a matter of fact, she is offering some classes right now at Get It Scrapped. I have taken one of her first classes and am signed up for her next one. 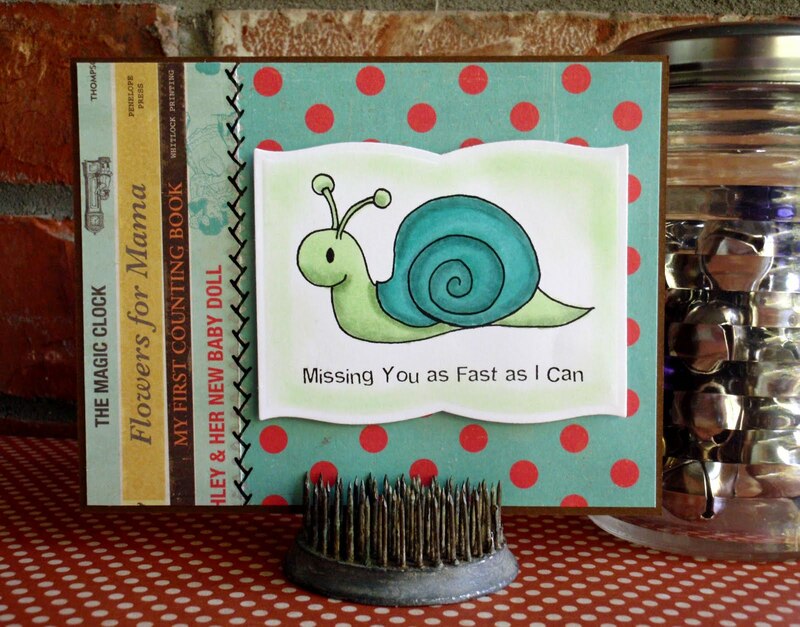 The die I used on this little cutie is from Spellbinders and is called Labels Seven. The way I've used this die is the most basic way. I hope to come back soon with some more advanced uses to show you. Can you see that it could look like a little storybook if it were scored in the center? Later today I will post all of the August projects on Facebook. Each month has its own photo album. You can LIKE our page and get daily updates. Be sure to stop by and see all of August in one place. 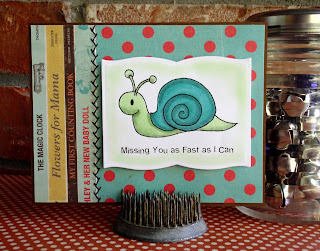 Tomorrow I will be back to share with you a card I made using rubons and a die cut shape or two. Michelle is AWESOME! Love that girl! Your snail is darling!